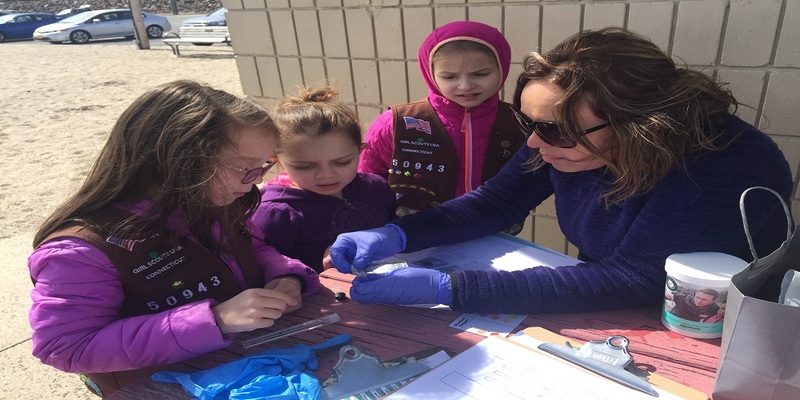 Our Brownie and Juniors Girl Scout Troop 50943 from Stamford, CT, performed water testing in the Long Island Sound off of West Beach in Stamford, CT. The troop enjoyed being water scientists for the day and loved the hands on learning that came with performing each test! After we collected the data, we discussed what our results meant in terms of the health of the waters along our coastline. The girls agreed that the water was all within acceptable ranges for temperature, pH, dissolved oxygen, and Turbidity. But they also determined that pollution was a major problem as trash was clearly visible all along the beach and in the water. 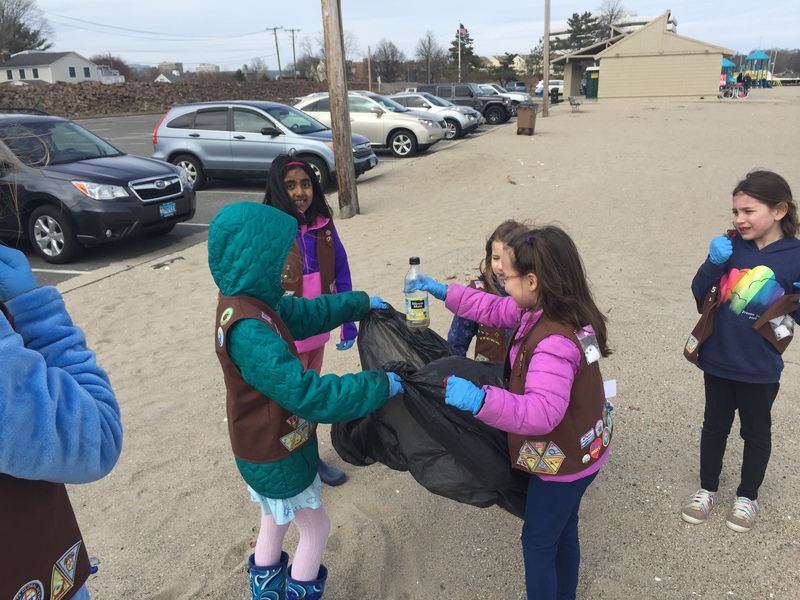 After performing our water monitoring tests, Girl Scout Troop 50943 performed an extensive beach clean up on West Beach along the Long Island Sound. Girls formed teams to gather any visible trash. And we found a lot. Plastic bottles, cigarette butts and bags, food containers and small bits of plastic littered the entire beach. The troop was really happy to see the difference we made in keeping our waters safe and clean by working together. Editors note: We are honored to support the water monitoring and conservation efforts carried out by Girl Scout Troop 50943 through our EarthEcho Water Challenge test kit donation program.